With a premier location in the heart of Manhattan, Eye Design has attracted a number of high-profile clients throughout the years. From television producers and pop singers to reality stars and social media sensations, celebrity clients of all types trust our studio for customized beauty looks. Curious about the big names that have visited Eye Design? Keep reading! 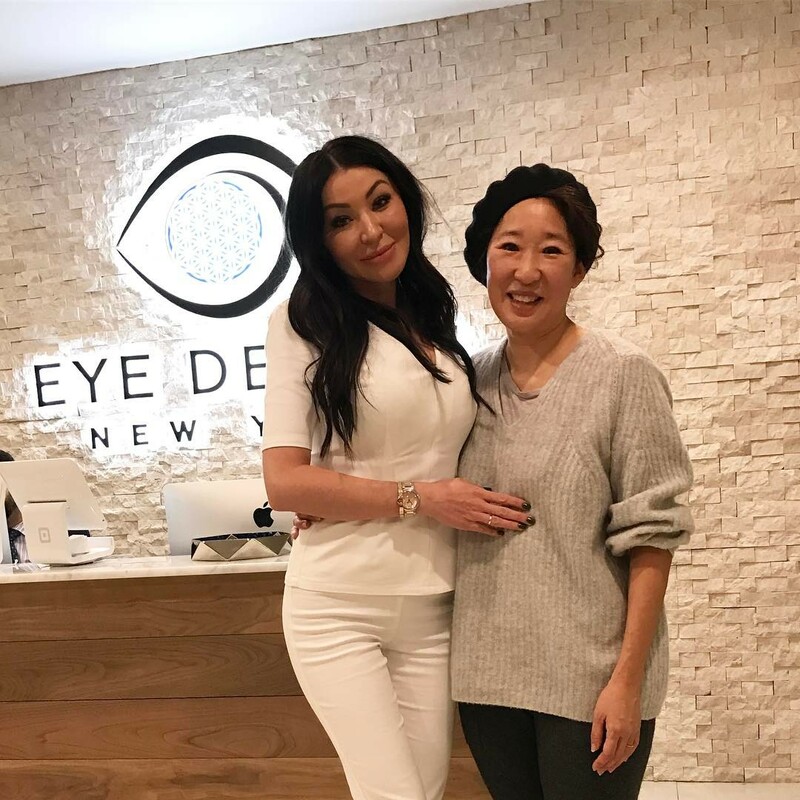 It is always an honor to have the kind, talented and beautiful Grey’s Anatomy star at Eye Design! In addition to her Golden Globe and Screen Actors Guild awards, Sandra is a warm and sincere woman with a big heart, so we love seeing her in our studio and helping her feel even more confident and beautiful. Real Housewives Of New York City favorite Sonja Morgan trusts her lashes and brows to none other than our founder and Master Technician Nadia Afanaseva. She is a big fan--no pun intended!--of our 3D eyelash extensions, as well as our Powder Effect eyebrow treatment. 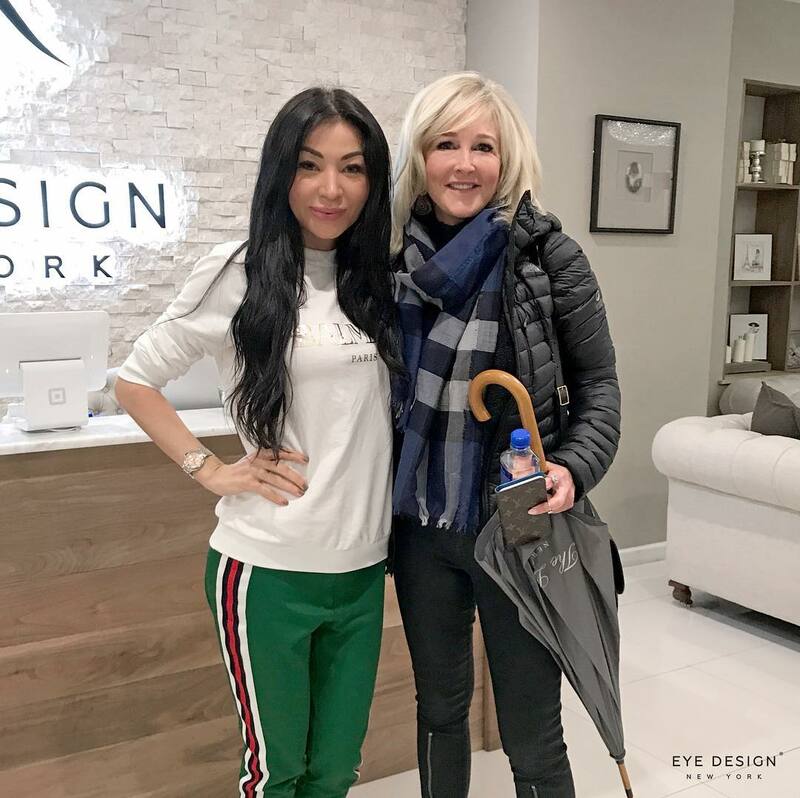 While the executive producer typically works behind the scenes on TV hits such as Dr. Phil, the Eye Design team keeps her ready for the camera! Much like Sonja, Carla is both a lash and a brow client at our studio. Aino is 1/2 of the Swedish music duo Icona Pop, and happens to be one of the absolute sweetest clients to have here at Eye Design. Eye Design is always thrilled to welcome Cookie Johnson and Elisa Johnson to our studio. They are two fabulous ladies and such amazing guests! We are so thankful that the wife and daughter of basketball champion Magic Johnson trust us. They are truly gorgeous inside and out! LL Cool J’s loved ones are a pleasure to have at Eye Design--they are the friendliest women with the absolute best smiles! Grant Stoddard, aka The Yes Man from VICE, took it upon himself to show men around the world that microblading isn’t just for women. His confident and outgoing personality fit in perfectly at Eye Design, and our team is so happy he is loving the natural-looking brows Nadia created for him! Follow #CelebsAtEyeDesign on Instagram for more!